A free Salesforce Foundation AppExchange app that sits on top of Salesforce Enterprise Edition. The Nonprofit Starter Pack pre-configures Salesforce for nonprofits, and is designed to make the daily life of nonprofits easier. 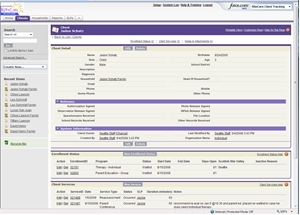 A free Salesforce AppExchange Application that can be installed into any Salesforce database. Volunteers for Salesforce helps you manage your organization’s volunteer events and individuals. It manages volunteers, jobs, shifts, and hours, allowing you to track and report on all of the data as well as allow public signups via Sites forms. As of July 2014, over 2000 organizations have installed Volunteers for Salesforce. 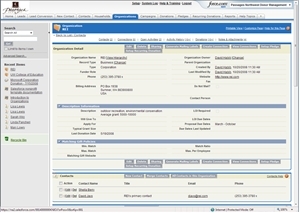 A free Salesforce AppExchange Application that can be installed into any Salesforce database. 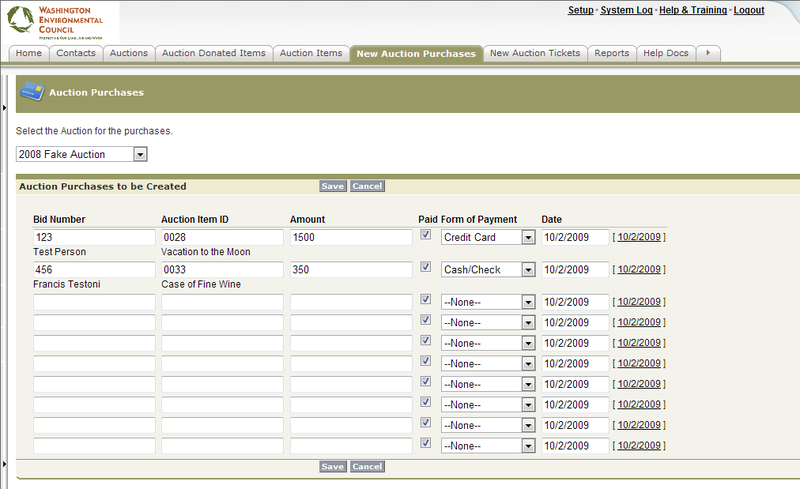 Auctions for Salesforce helps staff manage all the information related to an auction. It tracks auction tickets, cash sponsorships, auction donations, and the complex task of bundling these donations into auction items, and auction item purchases. As of October 2014, over 500 organizations have installed Auctions for Salesforce. From 2009 – 2012, I was doing all my consulting work through Groundwire. In addition to working on various Salesforce projects for Groundwire clients, I have also worked on several core technology pieces that Groundwire uses in their Salesforce client solutions. These include managed packages for GWBase, Engagement Tracker, and Online Payments. 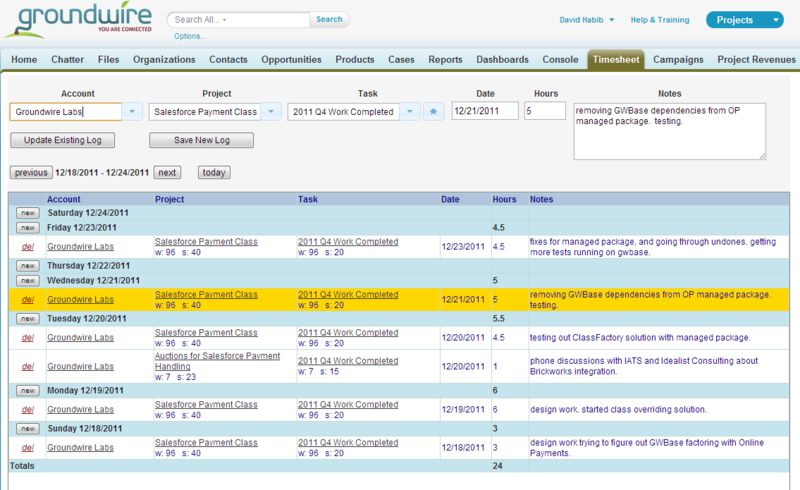 A jQuery based timesheet created for Groundwire internal use has also been used in several client projects. This project involved migrating all of their data about their members, organizations, donors, event attendees, and newsletter recipients from multiple data systems into a unified Salesforce system. I integrated CVent, their tool for organizing their annual conference, with Salesforce, as well as integrating Vertical Response for newsletters. 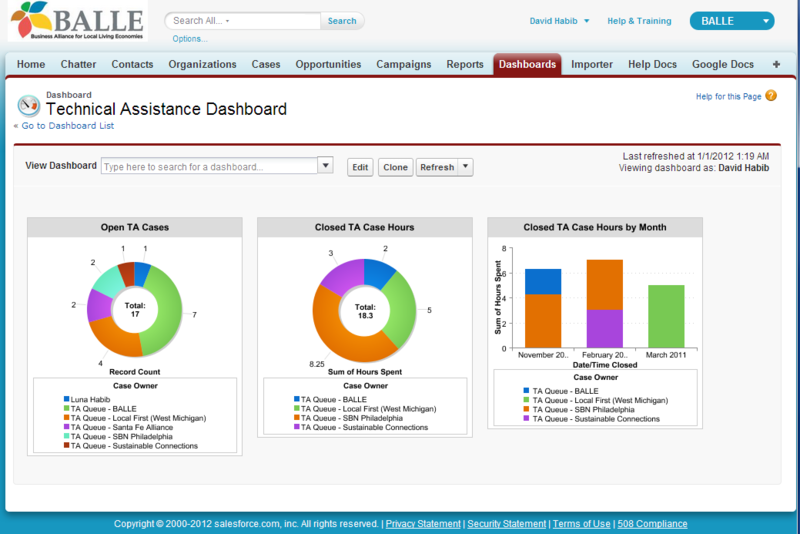 In addition, a Saleforce Partner Portal was created to allow tracking of technical assistance requests being handled by their partners. This project involved migrating from their old donor management system, Sage, to use Salesforce for all their constituent management needs. This includes donor management, activism, engagement, and campaign management. Salesforce was also integrated with their use of Vertical Response to track all their e-newsletter and activist emails with their constituents. I also created a custom module for doing Auction Management, which allows WEC to track all of the donated items, attendees, purchases, and sponsors for their annual auction event. This project involved migrating an existing Access database being used for donor management and program management to Salesforce. The donor management piece was implemented in Salesforce using the Salesforce non-profit template, which provides donor management capabilities. Customization of the various fields and pages was done to make the application easy and understandable for Passages Northwest. A second project entailed migrating their Access database program management data into this same Salesforce installation, since many of their donors are either participants or parents of participants. This involved additional custom objects and pages added to Salesforce, to handle their programs, student enrollment, program leaders, and volunteers. This project involved migrating an existing Access database being used for client management to Salesforce. The default Salesforce objects were not used, and new custom objects for Clients, Families, Therapists, Appointments, etc. were created.